Home/What should I bring to my appointment? If you’ve seen your GP, a consultant or other health professional prior to attending for physiotherapy please bring along any referral letter that they may have given to you. 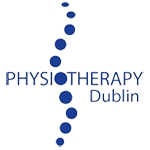 If you’ve had recent surgery and have been advised to have some physiotherapy by your surgeon please bring along as much details of the surgery as you have. Particularly important to know is the name of the surgery that you’ve had and the date you had it on. If you’ve had any scan such as an MRI or X-Rays it’s useful to bring along the disc, films or reports of these scans. Otherwise you just need to bring yourself along!